Manufacturer of a wide range of products which include panch tusli drop, diabita care juice and aloe-fiber juice. Panch tulsi drops is a blend of goodness of fives species of this mother herb to serve its therapeutic benefits. It is prepared from high quality distillate of whole tulsi plants. Panch tulsi is a great combination of rama tulsi , shyama tulsi , van tulsi , french tulsi and sweet tulsi . These five types of tulsi are mixed in right proportions to achieve the desired benefits. It is useful in more than 200 diseases . Panch tulsi is a medicinal herb that’s considered a sacred plant by the hindus in the indian subcontinent. Panch tulsi is disease resistant. It has world’s best anti-oxidant, anti aging, anti-bacterial, anti – septic, anti-viral, anti-flu , anti-biotic , anti – inflammatory, and anti-disease properties.It is good food supplement helpful in building immunity, fighting stress & infections, flush out toxins, aromatherapy and maintain glycemic index. Helpful in all types of allergies. It keeps away the deadly fevers like dengue, malaria and swine flu etc . 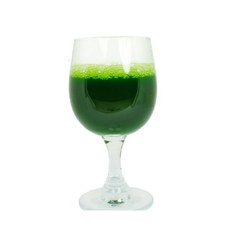 Removes the impurities of blood and increases the immunity of human body. Anti- bacterial and anti- viral action. 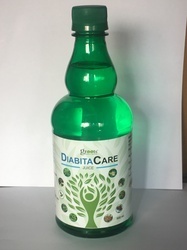 Diabita Care Juice And Capsule Is The Well Researched Combination Of Key Anti-diabetic Herbs & Herbs Which Promotes Lipid & Glucose Metabolism. It Is Great Combination Jamun , Karela , Neem , Methi And Gudmar . Jamun Besides Its Anti-diabetic Activity, Also Helps In Alleviating Symptoms Of Polyurea & Polypepsia. Neem Improve The Blood Circulation By Dilating The Blood Vessels And Also Helpful In Reducing The Need For Hypo-glycaemic Drugs. Gudmar, The Name Itself Is Symbolic Of Its Activity. Several Scientific Papers Are Published To Establish Anti-diabetic & Insulin Sensitizing Property Of Gudmar. Methi Is Considered To Have Anti-oxidant, Anti-lipidemic And Hypoglycemic Properties. For Better Results Use Diabita Care Juice And Capsule Both . Normalizes The Levels Of Insulin And Glucose In The Body. Helps In Reducing Swelling In The Body, Blood Pressure, Stress And Tiredness. Ancient Records Have Shown The Advantages Of Aloe Vera Which Is Known For Centuries Having Its Therapeutic Benefits And Healing Properties Existing Over 4000 Years .aloe Vera Also Called Ghritkumari In Hindi Is A Species Of Plants From The Aloe Genus That Grows Well In Tropical Regions. Aloe Vera Leaves Are Where The Majority Of The Active Ingredients Are Located. For Thousands Of Years, Aloe Vera Plants Have Been Used In Medical Practices, And The Extract Of This Plant Is Extremely Potent. The Most Important Components Of The Leaves Of This Plant Are Saponins, Amino Acids, Beta-carotene, Vitamin C, Vitamin B, Vitamin E, Lignins, And Other Minerals And Enzymes. We Can Also Find A Lot Of Vitamins And Essential Minerals That Are Beneficial For Human Health, Such As Vitamins A, C, E, B1, B6, Potassium, Calcium And Magnesium. There Are About 18 Amino Acids Found In Aloe Vera And These Amino Acids Work Closely With Other Essential Compounds To Constitute Many Health Benefits Of Aloe Vera. Looking for Healthcare Juices And capsules ?